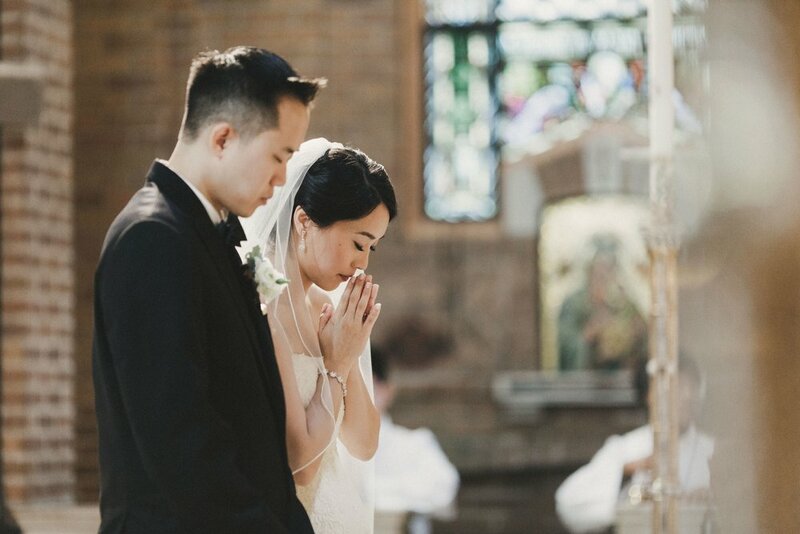 Being a photographer who works mostly in New York City and the East Coast, one of the most critical factors in planning the wedding day has to do with the time of year the couple is getting married. We are blessed with having all four seasons, so I wanted to offer some thoughts about how to plan a wedding no matter what the season. 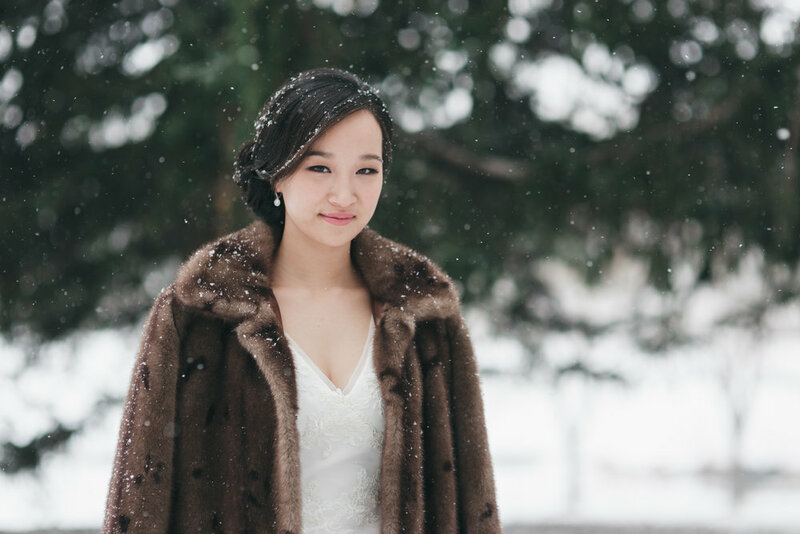 Because so many weddings happen during warmer seasons, the fact that you have a wedding during the winter will make it that much more unique. I love photographing in the winter. The dry air bends the sunlight in a certain way, and with the days so short the sun is either rising or setting which makes for much better lighting than it is in the middle of the sky most of the day. There’s also that “blue-ness” of the winter light that is calming and serene, and if there is light snow falling from the sky, it’s as if the world slowed down and became quiet just for your wedding day. Also, snow is much easier and prettier to deal with than rain. But for some, the cold weather is a deal breaker, which I understand, especially now as our winters have become colder and colder. It's not easy to be outside for an hour taking photos. Most wedding dresses don’t accommodate all weather—they assume you are getting married in perfect 70-degree weather. A simple shawl or top can help you bear the cold for photos outside, and you can wear warm boots rather than heels if the dress is long enough to cover your feet. We can also bring out jackets and take them on and off as we need for different shots. When trying to determine when your ceremony or portrait session should be, the most significant factor will be when the sun is setting on your wedding day. You want to make sure that there is enough light for everything you want to do. It wouldn’t make sense to do bridal portraits at 6 PM in November, because the sun will have set by then. A good rule of thumb: an hour and a half before sunset is a great time to start taking photos. The most important thing to put in place when scheduling your day is margin. What I mean by that is to not pack your day so much that you feel like you are being dragged from one thing to another. On a day this important, there are going to be things you need to do and places you need to be, but that doesn’t mean you can’t create some room for yourself to breathe. Not only will this help you stay relaxed, but these moments are also when the best photos happen. There will be enough adrenaline and excitement from the day; one thing you can control is when those things happen. 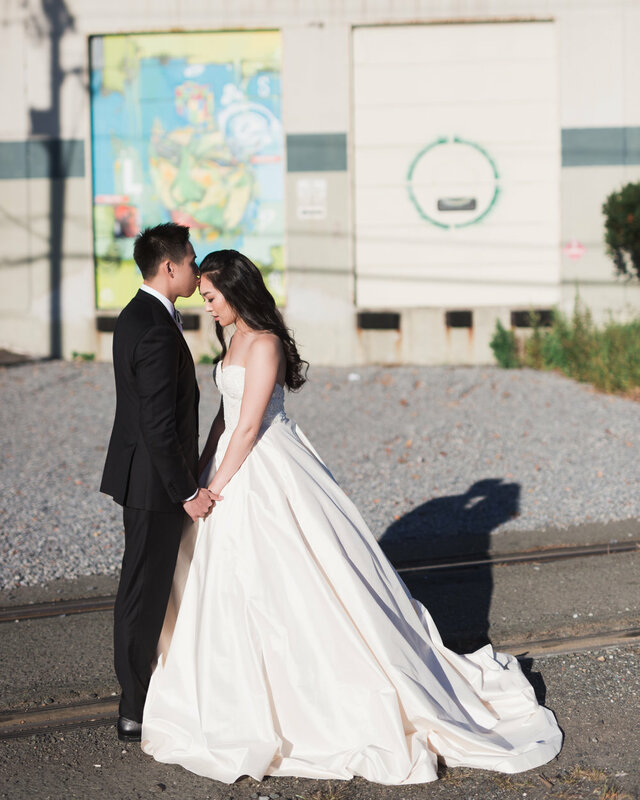 If you decide to do a first look before the ceremony, try your best to schedule at least an hour to hour and a half for the session, not including travel time. That will allow you and your bridal party to settle into the portrait shoot and get some great shots. There are all these nerves before you and the groom see each other, but then as we settle in to the session, the rest of the time will just be the two of you hanging out with your closest friends, looking beautiful together. If you decide that the first time you see each other is during the ceremony, the hour during cocktail hour is a great time for portraits. Even if the sun is set, we can always do photos during the evening. I love these photos, because now that you are husband and wife and all the formalities are taken care of, you will both be so relaxed—and that always makes for good photos. It’s also a chance for you to take a moment and take in everything that’s happening. You’re throwing the biggest party of your lives, and it’s great to step back and enjoy what’s in front of you. It’s not easy to make a schedule that will work for a day as packed as your wedding. The last thing you need to worry about is whether or not the photographer will be there to capture everything that’s happening. I offer between eight to twelve hours of coverage in my wedding packages because I do not want you to feel as if you have to manage my time as well. However you schedule your day, I want to be able to accommodate it and be there for every part of it. I hope these few thoughts have helped make it a bit easier to plan out your day. If you have any other questions about logistics, photography, or wedding planning in general, feel free to reach out to me below! Yes, I Do Have A Question!